After Vince got done with his deejay-ing, we planned to use the tickets that Globe gave to us and watch Alice in Wonderland in Ali mall :) We were supposed to watch it in 3D. So, I went to SM MOAâ€™s IMAX Movie Theater at around 10 am to buy our tickets for Alice in Wonderland 3D. I was disappointed because they did not have Alice in Wonderland in IMAX. T___T They said Alice in Wonderland is just in digital 3D. I donâ€™t know the difference between digital 3D and IMAX but anyway I just went back home and we decided to just watch it on the normal movie screen. I was live blogging on my other blog earlier when we were eating at Signapore Chicken Rice â€“ AGAIN! Itâ€™s yummyliscious! One of our friends visit Singapore Chicken Rice restaurant 3 times a week! Imagine thatâ€¦ the Chicken Rice and Chicken Curry are just the best! After eating we headed straight to the newly renovated Ali Mall. I donâ€™t often go here. In fact the last time I went to Ali Mall was last year and trust me, the mall did not really appeal to me a lot. This time however, itâ€™s newly renovated! We strolled around and I liked how the mall looks now! The nice part is that the movie theater looks like the one in greenbelt where the chairs are stacked up way above each other so that you wonâ€™t see any irritating heads of other people. Iâ€™m not sure if they have any movie theaters here before but this one is just nice, clean and I love it! This is one of my new favorite movie theaters now since itâ€™s clean, nice, well-designed and not a lot of people know about this yet. 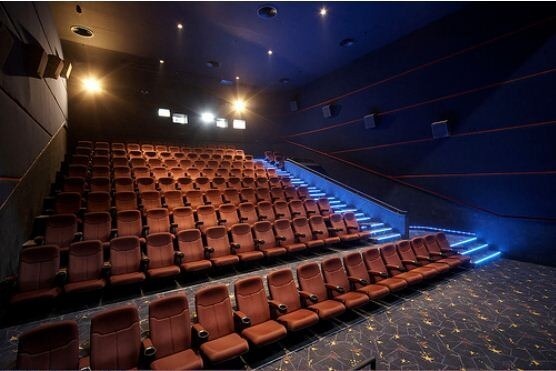 But since I blogged about it now, this theater could get more viewersâ€¦ HARRR!!! They were not showing the 3D version of Alice in Wonderland though. Itâ€™s all fine still because I still enjoyed the movie! I know movie critics have graded this movie half and half (some like it, some donâ€™t) but I appreciate the movie and I love how it went :) Iâ€™d give it a 9 out of 10. After the movie, we strolled around and ate at Big Better Burgers.